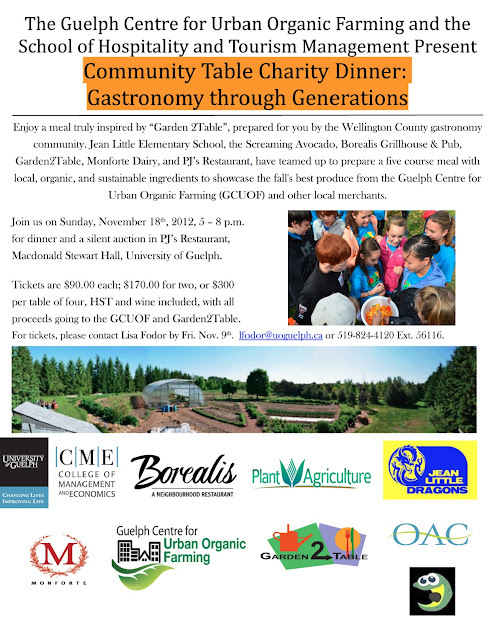 Enjoy a 5-course dinner with local, organic, and sustainable foods, prepared by the Wellington County Gastronomy Culture. The Charity Dinner and Silent Auction will take place on Sunday November 18th, from 5 - 8pm in PJ's in the Atrium. Contact Lisa Fodor at lfodor@uoguelph.ca for tickets.